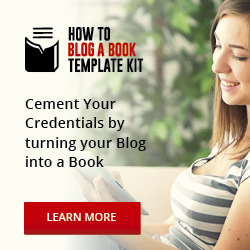 You’ve decided to start blogging to build authority and platform so you can publish a successful book (and make money, too). 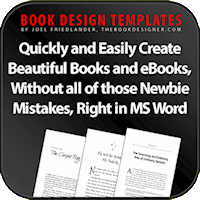 Maybe you even want to blog your book and accomplish these goals in the process. Where should you go to get advice and learn how to blog (besides this site)? 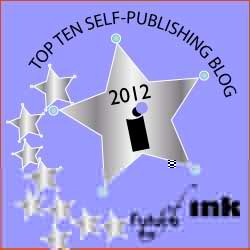 Check out the top 10 blogging websites list compiled by writer and journalist Jane Meggitt (@meggitt_jane). 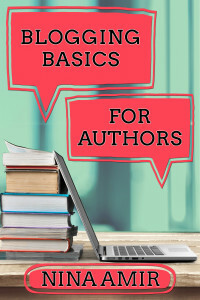 Whether you’re an author discovering how to blog or a writer blogging a book, you have to learn the ropes. The internet is littered with blogging information sites. To ensure you don’t waste your time, it’s critical to separate the wheat from the chaff. 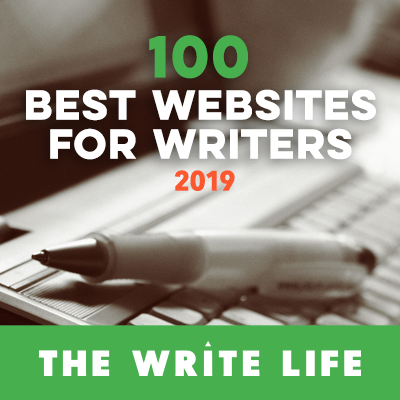 The following websites have earned their place on our top-10 list of websites that teach blogging for their influence, longevity and sound advice on how to blog. 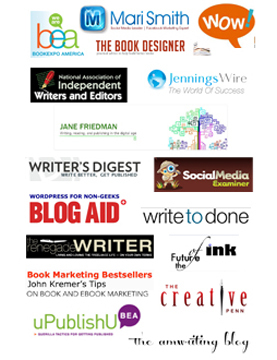 Every writer or author can learn how to become a better blogger by reading these blogs. 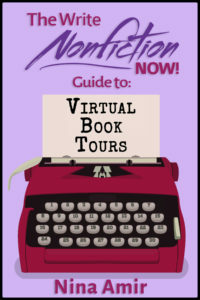 Whether you’re an author discovering how to blog or a writer blogging a book, learn the ropes. ProBlogger – Arguably the largest and best-known blog site, ProBlogger will teach you effective ways to monetize your blog posts and provide tested blogging techniques. It also features a job board, which can help you find bloggers to write for your site or sites you could get paid to write for as well. No matter what blogging subject or technique interests you, you’ll find it here. Copyblogger – Successful blogs pique reader interest because they’re well-written. While that seems obvious, this site shows you how to write well and lucratively in the blogosphere. Copyblogger is especially useful for those concentrating on content marketing. WPBeginner – WordPress is recognized as THE state-of-the-art blogging platform and is used by most professional bloggers. If you are a WordPress newbie, this site is a go-to resource to learn how to blog that provides a abroad range of necessary information. If you’re just starting your blog, you’ll appreciate the various coupons offered for hosting plans and plug-ins. John Chow – John Chow, an eponymous expert, has become a dot.com mogul, and he’s eager to share his knowledge about how you, too can earn six figures per month online. He offers a free WordPress installation for those who want to get started in the blogging trade. Smartpassiveincome.com – The website title says it all. Founder Pat Flynn can teach you every tool of the online world, from email marketing to podcasts, so you can eventually just sit back and count the money coming in from your blogging efforts. Smart Passive Income focuses on finding blog strategies that work. Blog Marketing Academy – Maybe there’s no such thing as blog marketing college – yet – but Blog Marketing Academy is pretty close. It’s like the Wall Street Journal of daily blogging business news, featuring key and trending concepts. Warning: Conventional wisdom is often overturned, but you’ll find out what works. Entrepreneurs Journey – Like Adele or Madonna, Entrepreneurs Journey founder Yaro doesn’t require a last name for instant recognition. He sings the praises of a laptop lifestyle and teaches you how to earn a living blogging. 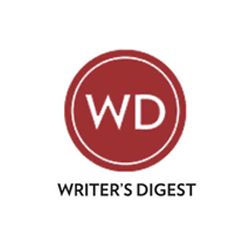 His site features “how to” posts from other writers who took the plunge and succeeded. Chris Brogan – Chris Brogan isn’t going to advise you on social media marketing or the kind of stuff you can learn on literally dozens of other blogging sites. If you want up to the nanosecond blog tech advice, he’s your guy. Not familiar with blockchain, chatbots, and the latest AI? Brogan explains what it is, why it matters, and how it can help you grow your online business. To learn how to blog effectively, peruse these 10 sites, and choose one or two (or three or four) you want to visit regularly. Apply what you learn consistently, and then watch your site improve and your readership grow. 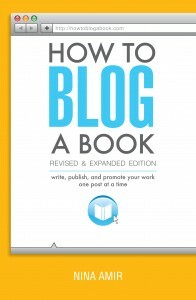 What websites help you learn how to blog? Tell me in a comment below. Jane Meggitt is a former reporter for a major New Jersey newspaper chain. 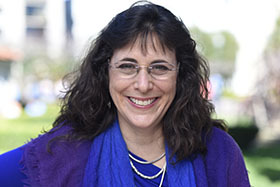 Her work has appeared in dozens of publications, including USA Today, Financial Advisor, LegalZoom, Zack’s and The Motley Fool.You can contact her at janemeggitt@gmail.com.